Ever wish you could take the fresh cup of coffee smell with you wherever you go? Well now you can thanks to Idea Organic and their scented phone cases. Idea Organic uses organic materials to create naturally scented phone cases, allowing consumers to hold a piece of nature in the palm of their hands. Founder Silviu and his girlfriend were traveling through out Southeast Asia and Eastern Europe when they observed large amounts of waste. They noticed that in parts of Southeast Asia people were not accustom to recycled and focusing on sustainable practices. The two were inspired to take action and do something positive & with effort of preserving the environment. After discovering an innovative supplier in Slovenia, Silviu launched Idea Organic to bring the organic, scented, allergy free phone cases to consumers around the world. Idea Organic features two collections, the Organic Collection & Wood Collection. The Organic Collection consists of cases made from organic, natural materials that have been manually pressed into a phone case. These cases have a scent from the natural materials used that is guaranteed to last for up to six months. The Organic Collection is also allergy free. The Wood Collection features beautifully engraved pieces of wood that easily snap on and off of your phone. The intricate designs in this collection are sure to make your phone case unique. I have sincerely enjoyed my Idea Organic phone cases. I received the Rose and Coffee cases from the Organic Collection, along with the Meaning of Life case from the Wood Collection. The Rose & Coffee cases both smell wonderful and have kept their scent well for the past few weeks that I have had them on/off my phone. The scent of the cases is the perfect strength, it's there if you want to notice it, but it's not too strong. If you hold the case up to your nose you can definitely smell it. My personal favorite is the Rose Phone Case. The smell is subtle and relaxing and the colors are fun too! The inspirational words carved on my Meaning of Life case are perfect for my upcoming travel and adventures. 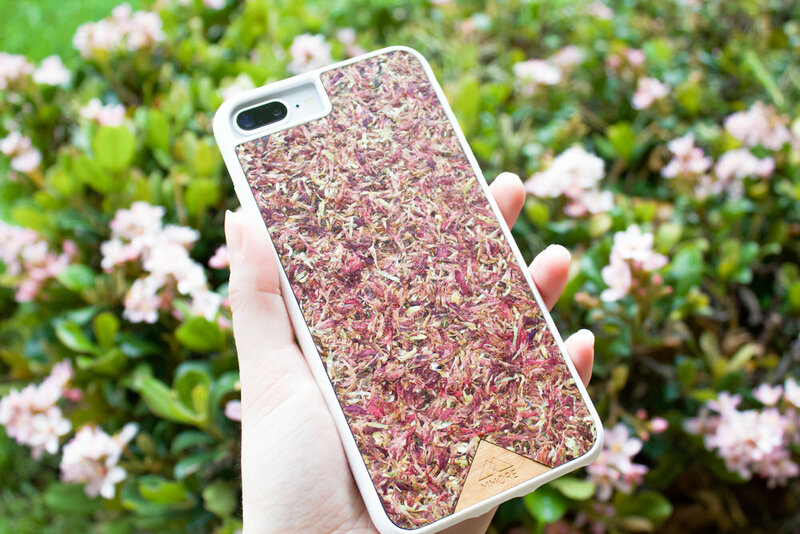 I encourage you to check out Idea Organic's phone cases and consider picking up one for yourself! Use the code "honest20" to receive 20% off your order from Idea Organic! Be sure to check them out & give them a follow too! Thanks to Idea Organic for sponsoring this post & being part of The Honest Consumer community!